If there’s one treatment that gives patients pause, it’s dental implants. 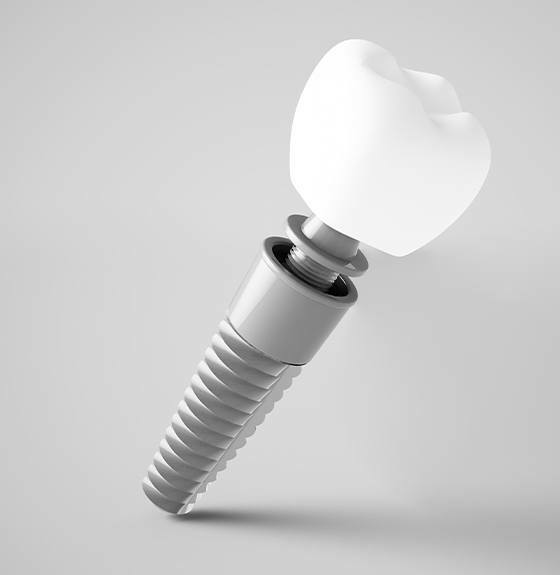 It is true that their cost is relatively high upfront, but the fact is implants offer the most natural tooth replacement option possible as well as the longest-lasting solution to boot. Furthermore, the cost of your treatment will largely vary depending on your needs, which is why it’s always better to schedule a consultation to learn how much your treatment will be. To get started learning how Dr. Young makes paying for implants more manageable, contact our office today! 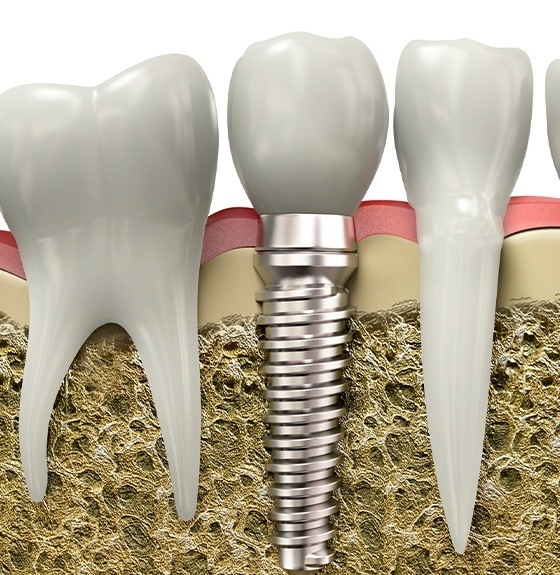 One of the most influential factors of the total cost of your implant treatment is the number of implants being placed. The location of the implants can also play a major role as certain teeth are more difficult to replace than others. Not only does location of the implant affect the cost, but it also affects the amount of healing time needed. The longer the healing time is, the higher your costs will be as additional follow-ups are needed to ensure the implants are integrating properly. Abutments are necessary in order to keep the restorations that fit on top of the implant stabilized. 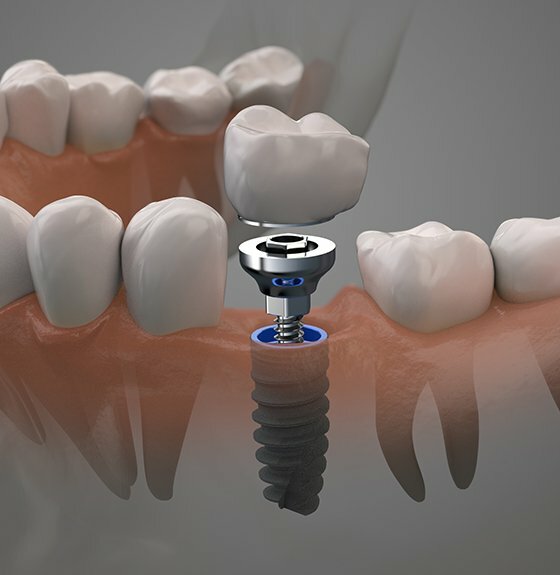 The more implants you need to have placed, the more abutments you’ll need. Keep in mind that the number of implants you receive does not directly correlate with the number of teeth you need to replace. For example, implant-retained bridges only require two implants, even though they are capable of replacing at least three teeth. That means you’d only need two abutments total. While implants are capable of anchoring many teeth at a time, more complex restorations will result in a higher cost. For example, implant-retained dentures will cost far more than a simple bridge or crown. In some cases, dental implants require additional treatments before they can be effectively placed. For example, the most common treatment provided is bone grafting, which Dr. Young provides in his office. Bone grafting works to expand available bone tissue so implants can effectively integrate with your jaw. Alternatively, patients with extensive gum disease will need periodontal therapy before receiving implants. Healthy gum tissue is absolutely necessary, and our office is more than able to treat gum issues prior to implant treatment. Our office accepts virtually all types of dental health insurance and files all claims on your behalf. Unfortunately, many insurance plans do not cover the cost of placing implants, but that doesn’t mean you can’t still afford treatment. 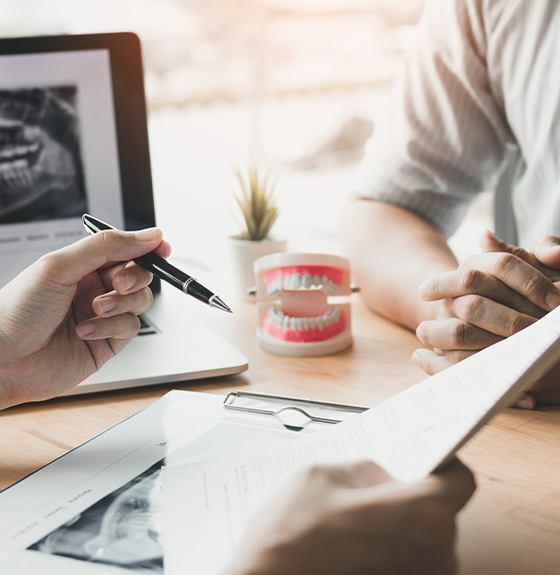 Many can also benefit from payment programs like CareCredit and Chase Health, which provide low to zero interest loans for complex treatments like dental implants. It cannot be stressed enough how effective dental implants are at replacing teeth in the long-term. In fact, our office considers them to be the most cost-effective because of their longevity, functionality and aesthetic quality, even when compared to more affordable tooth replacement options. Dental implants have the ability to last a lifetime when properly cared for, which is not something that can be said for traditional bridges or dentures.